Ready to download your FREE Sounds Of R Puzzle? Just confirm that you are a subscriber to the Little Learning Lovies email list below. If you’re not already on it, we’ll add you to our email list. Your link to download will show below the form when you’re done filling it out. NOTE: May not download properly on a tablet or phone. Please use a laptop or desktop computer. Click here for some troubleshooting tips. PDF will automatically download as soon as you enter your information and click the Download button! 🙂 ENJOY! 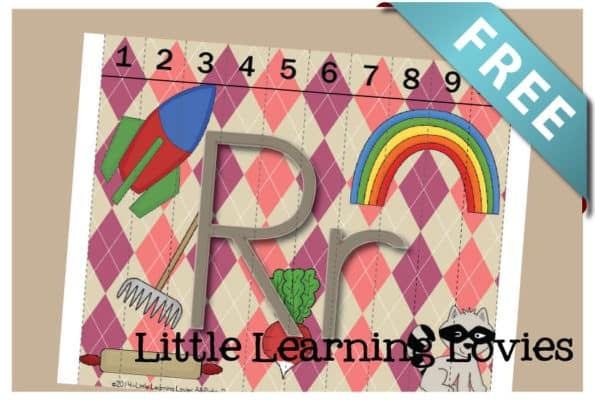 Keep a look out for the next freebie, and don’t forget to go snag ALL the Subscriber Exclusive Freebies we have here at Little Learning Lovies!